If you’ve installed a bird feeder hoping to enjoy watching beautiful birds, you might be in for a rude awakening. Squirrels could steal all the bird seeds long before your feathered friends get there. 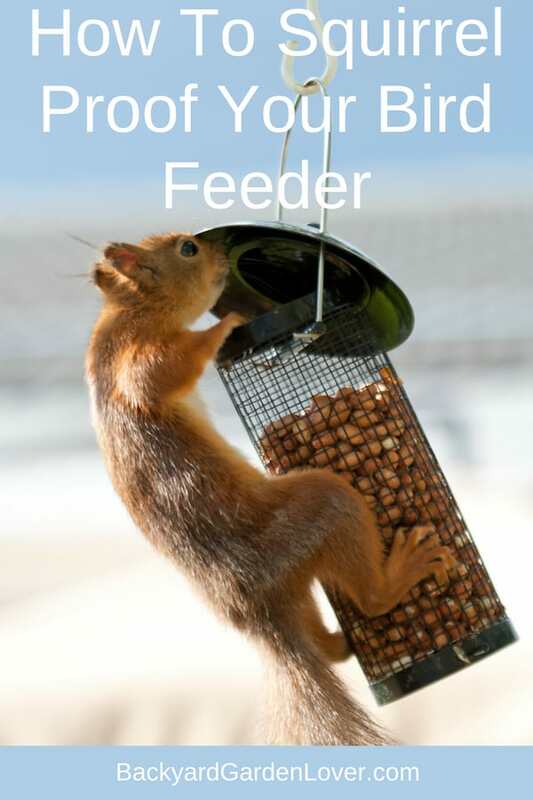 So, let’s look at how to squirrel proof your bird feeder to help you prepare ahead of time. 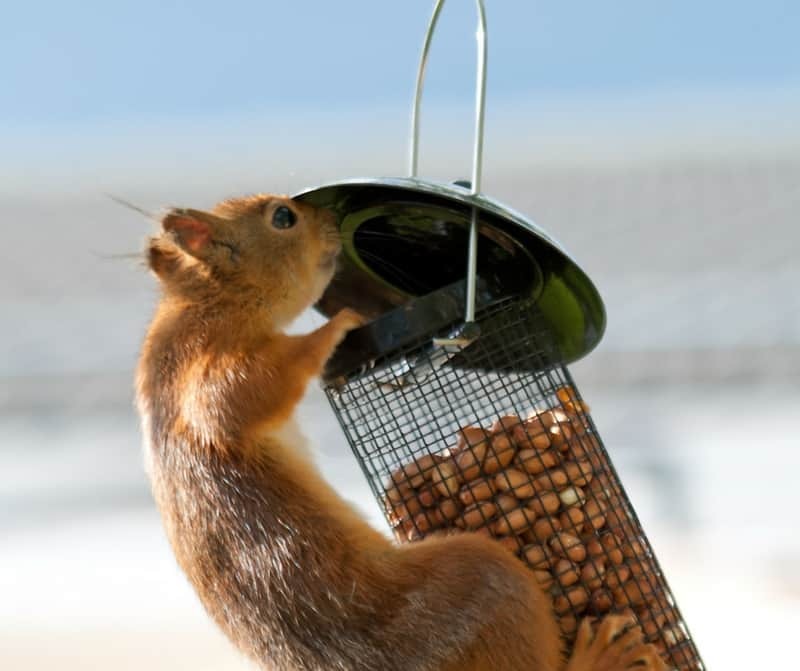 Bird feeding can be an extremely rewarding hobby, but it can also be extremely annoying if you didn’t take time to squirrel proof the bird feeders. Fortunately, there are several effective ways to discourage your furry friends from partaking of the feast you have set out for the birds. If you are trying to attract birds to your garden and are not being successful, chances are your backyard may not be bird friendly. The presence of squirrels is a huge deterrent to birds dropping by, as squirrels are famous for chasing away birds, as well as eating eggs and nestlings. Therefore a yard in which squirrels are welcomed will be not welcome too many birds. Let’s look at some ways you can deter the squirrels from eating your bird seed. Place bird feeders away from trees and fences – Squirrels have been known to leap to at least ten feet high at times, so when placing your feeders out, avoid placing them in close proximity to trees, wires and fences. 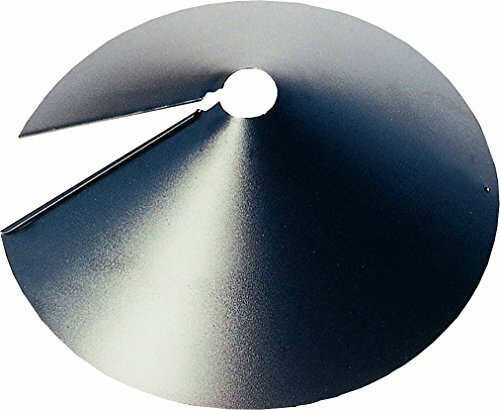 Bird feeders mounted on smooth metal poles are ideal. Be clean – maintain the area under the feeder at all times, making sure to remove old seed or seed hulls from the ground frequently. Debris as well as spilled seeds will attract squirrels. 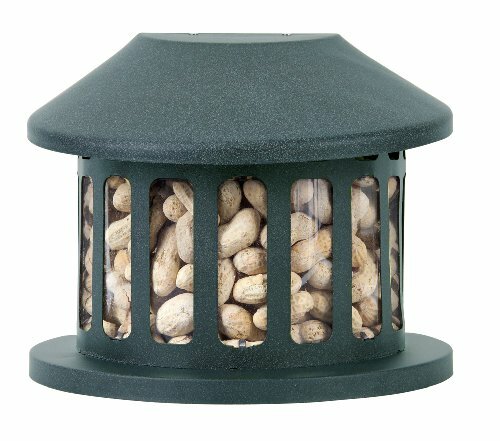 Woodlink NABAF18 Audubon Wrap Around Squirrel Baffle, 18-Inch Baffles are great – These are ingenious and they work exceptionally well. Place either metal or plastic baffles above and under the feeders, these should be designed in a sloping way so as to prevent squirrels from reaching around them. The best designs are the ones which tilt and spin once the squirrel climbs unto it thus preventing the squirrel from accessing the feed. Restrict seed supply – Though rather notorious for sampling a variety of seeds, squirrels are not particularly fond of safflower and nyger seeds. If you use these seeds exclusively, then you will certainly get less squirrel traffic coming your way. Attach a slinky to your bird feeder pole – the squirrels won’t be able to get up the pole. See the video below for how to install this. If all else fails, try compromising with the squirrels instead of trying to eliminate them (which may not be entirely possible). 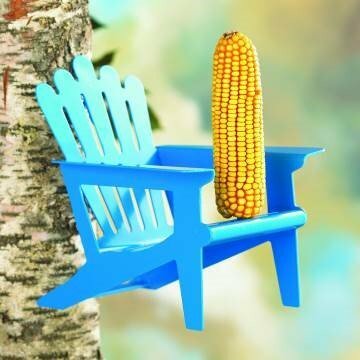 Create a squirrel feeding station just for them. 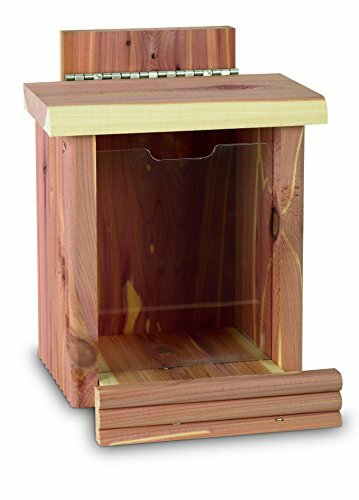 Fill it with stuff that they like eating: corn, nuts and other delicacies for squirrels. Chances are, if they have lots of squirrel friendly food at their level with easy access, then they will leave the birds alone with their ‘feast’. Tanks for sharing. Great idea to try!